On the eve of Passover, April 19, 1943, Jews in the Warsaw Ghetto staged a now legendary revolt against their Nazi oppressors. Since that day, the deprivation and despair of life in the ghetto and the dramatic uprising of its inhabitants have captured the American cultural imagination. 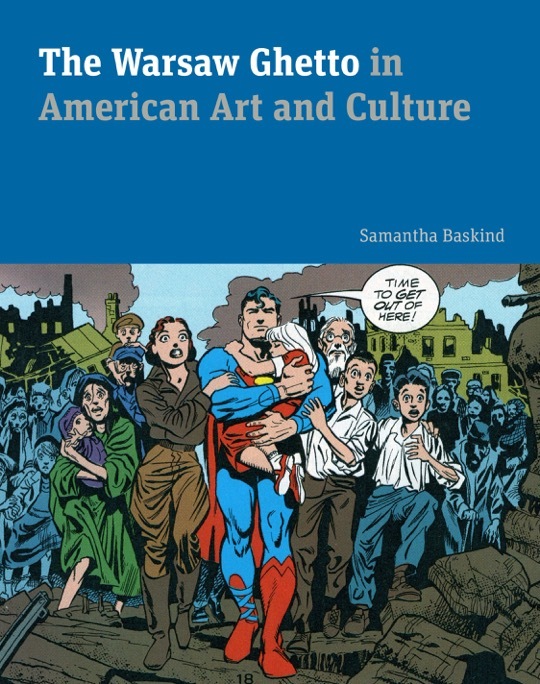 The Warsaw Ghetto in American Art and Culture looks at how this place and its story have been remembered in fine art, film, television, radio, theater, fiction, poetry, and comics. Jewish Art Salon’s Advisor Samantha Baskind explores seventy years’ worth of artistic representations of the ghetto and revolt to understand why they became and remain touchstones in the American mind. Her study includes iconic works such as Leon Uris’s best-selling novel Mila 18, Roman Polanski’s Academy Award–winning film The Pianist, and Rod Serling’s teleplay In the Presence of Mine Enemies, as well as accounts in the American Jewish Yearbook and the New York Times, the art of Samuel Bak and Arthur Szyk, and the poetry of Yala Korwin and Charles Reznikoff. In probing these works, Baskind pursues key questions of Jewish identity: What links artistic representations of the ghetto to the Jewish diaspora? How is art politicized or depoliticized? Why have Americans made such a strong cultural claim on the uprising?